Hi! 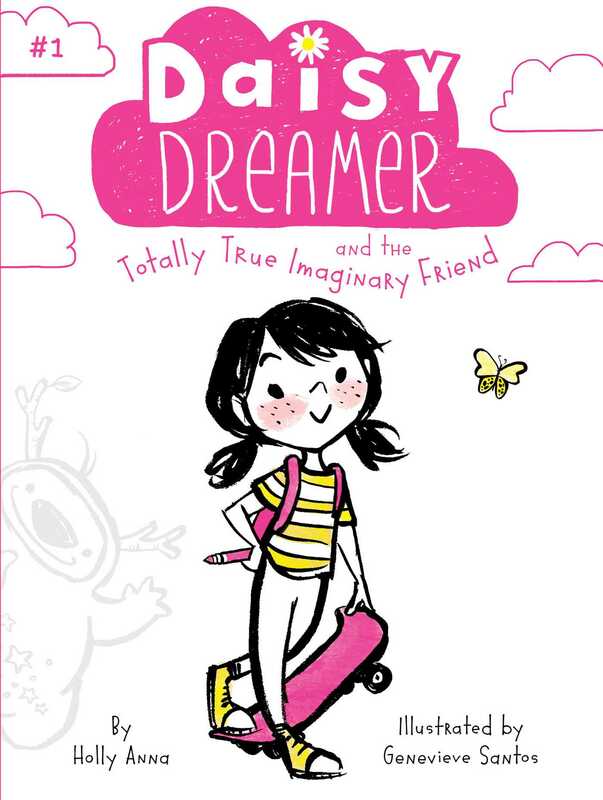 I’m Daisy Dreamer and this story is all about how I met Posey, my totally true imaginary friend. Hi, I’m Daisy Dreamer. People call me the girl with her head in the clouds because I daydream some of the time…or maybe most the time. But isn’t that what makes life so…well, dreamy? Together with my best friends, Lily and Jasmine, we love to write stories, draw, and invent games. Then one day, I drew a doodle in my special journal and you know what? That picture moved! All. On. Its. Own. And that is how I met Posey, my totally true imaginary friend. Now he’s got a story to tell. And guess who’s going to tell it. Yep, that’s right. Me, Daisy Dreamer, the girl with her head in the clouds.